A big part of selling on Amazon is managing costs. As every seller knows, there are two simple ways to increase profit: increase revenue or decrease costs. Luckily, properly managing your Amazon PPC (Pay Per Click) campaigns can achieve both of these. A well-run set of ads will lead to higher sales, improved search ranking, and eventually organic sales. You can have the most wanted products on Amazon, but without proper management of Ads you can still lose money. This article will show how this can be achieved easily and effectively. Sponsored Ads show up in multiple places on Amazon. One reason they are effective is they blend seamlessly into search results, appearing to be the top results for a search. Given the vast number of products on Amazon this exposure is vital. Notice the first few results for “Garlic Press,” are, in fact, sponsored ads. There are two types of campaigns: Automatic and Manual. Automatic Campaigns mean your ads are run on searches that Amazon’s algorithms deem to be related to your product. It also means your product will be shown as a sponsored product under competitor’s listings. Manual Campaigns are based on keywords that the seller inputs. As one could imagine, manual campaigns can be more successful in the long run, but Automatic Campaigns can still be vital, especially in the early goings. When launching a new product, it is good to start with an Automatic Campaign, and a relatively high bid. This will depend on the competitiveness of the product niche and your appetite for spending. The Automatic Campaign will divulge invaluable information in the long run though, which we will analyze today. Because every click, impression, and purchase that comes through an Automatic Campaign is valuable data for a successful Amazon seller. This data can be accessed through something called the Search Term Report. This is found under the Advertising Reports section. The search term report will show every phrase searched for that contained an ad for your product. One appearance in a search is called an impression. The Search Term Report will also show number of clicks, total spending, and conversions (purchases). The automatic campaign, run over at least a month, will quickly reveal successful keywords. As you can see below, there are some words that have high spending and low success, while others have converted at a high percentage. The goal of the automatic campaign is to find these high converting words. They can then be added to your Manual Campaign. Conversely, expensive search terms that have little success can be added as negative keywords to your Automatic Campaign. This means your ads will no longer appear on searches for these words. The high and low performers can best be found through ACOS %. This is the percentage of the sales price spent on ads for each product sold. If your ACOS is above your profit margin, you have technically lost money on sales converted through ads on that keyword. Despite that, it can still be good to continue with some of these keywords, as it does help with search rank. Typically, consumers that click on an ad purchase products at a higher rate than other consumers, which improves conversion rate, which is thought to be a key component in search rankings. In the sample search term report below, some high performing keywords are highlighted (low ACOS%). These would be terms we would immediately add to our manual campaign. Conversely, items with a very high ACOS could be added to the negative keywords section of our Automatic Campaign. The Manual Campaign can be somewhat optimized from the beginning. All of the important keyword research you have done will pay off when creating your manual PPC campaign. Use the high volume important keywords you have found and create campaigns for them. An example is shown below, using the “garlic press” from above. In a manual campaign, there are three types of ads, Exact, Broad, and Phrase. This is explained more clearly in our previous article about keyword match types. Over time, you will further optimize your manual campaign by adding successful keywords from you Automatic Campaign. Campaign management needs to be done on a regular basis. While tempting to update your ads daily or weekly, it is typically best to have this be a monthly task. This allows for proper accumulation of data between updates, and is the best practice in the long run. 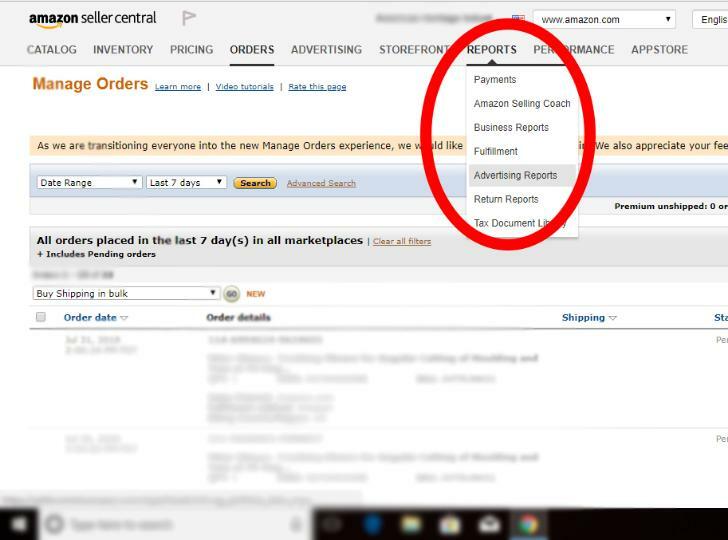 Managing your ads is one of the important parts of running a successful Amazon selling business. It helps you with having successful products, maximizing your profits, and helping turn your dream of financial freedom into a reality. While it takes some hard work, these Ad Campaigns work like SEO magic, so your future will allow for vacations, fun, and family, and an escape from the rat race of a nine to five job. Happy selling!